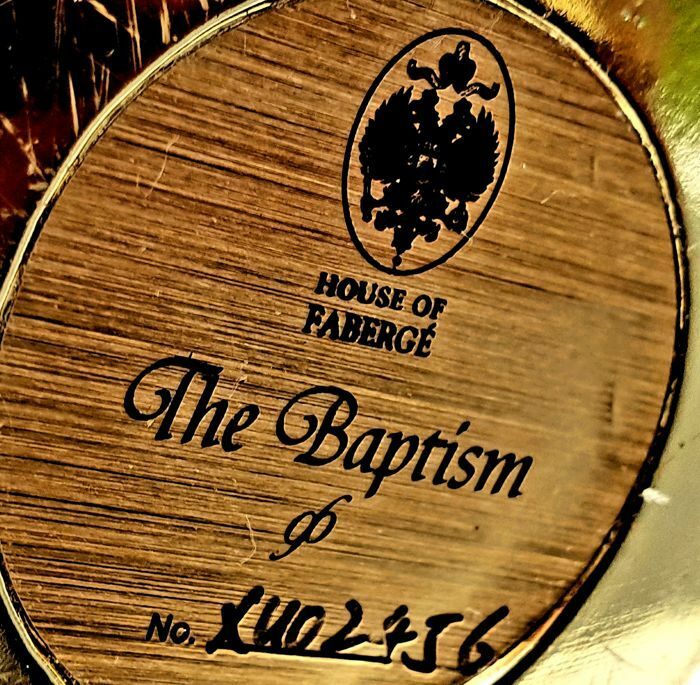 House of Faberge Religious Holy Egg called "The Baptism". Made out of fine porcelain complete with 24 carat gold. Measures a nice 12cm high and depicts one of the holy scenes in Jesus Christ, Our Lord's history. Extremely limited series released by House of Fabergé after a design by Igor Carl Fabergé. Featuring its own serial number.